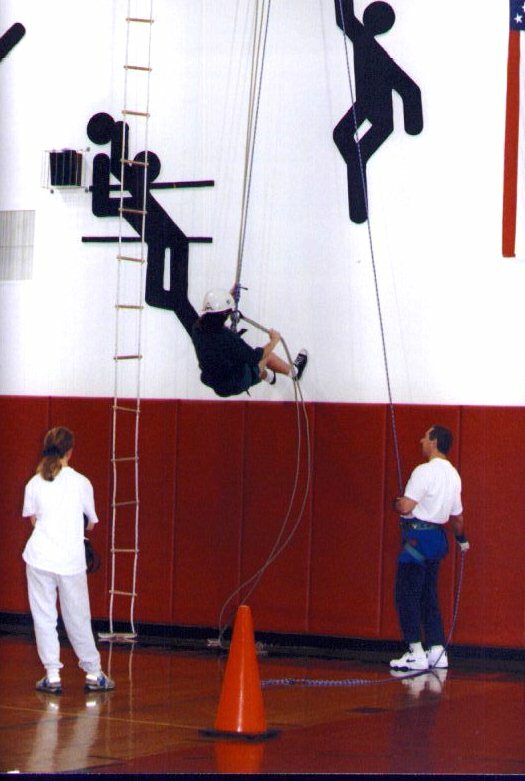 Students ascend the rope ladder to a platform where they attach to a rappell line, stand up on the platform, and step out on to the wall to rappell down. The "step to the wall" is an experience that they never forget. Techniques of belaying are also taught at this station.